Kaizen, or continuous improvement, underpins Toyotas success and is deep-rooted in the psyche of its work force. But as Toyota faces its first operating loss in 70 years, employees are being asked to sacrifice more for the good of the company. Welcome to the age of hyper-kaizen. Under this new initiative, seemingly insignificant financial gains are now considered worth pursuing even if they cause inconvenience. 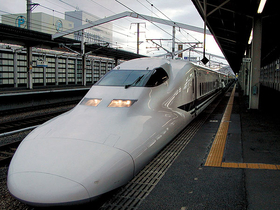 Previously, a Toyota executive would automatically choose the bullet train for a two-hour trip to Tokyo. Not anymore. We calculated three bullet train tickets versus one vehicle with three persons, said Toyotas Takeaki Kato of his journey to the Japanese capital to talk to reporters about the revamped Lexus RX premium SUV. Previously, at 20,000 yen (about 170) versus 17,000 yen we would think its almost the same, he said, adding that they usually opted for what was convenient, even if it cost more. Even, it seems, if it means doubling the journey time and facing the nightmare of Tokyos interminable gridlock. Hard times indeed.